Rooted in the drive to exceed performance standards that began back in the 1960s with the “Ramcharger” induction system, SRT (Street and Racing Technology) is the special vehicle engineering division of Chrysler. When Carroll Shelby and Bob Lutz introduced the awesome V10-powered Viper as a planned successor to the AC Cobra, the world cheered as an American supercar was born. The Viper led the way to victories in endurance car racing and spawned other unique vehicles like the Prowler. The SRT brand has touched many models in the Chrysler line, from the Neon to the Ram, making them contenders for best in-class performance and giving car enthusiasts something to be excited about that’s made in America. At the heart of this road-devouring snake is a totally refined all-aluminum, mid-engine, 8.4 liter V10 delivering a class-topping 640 horsepower and 600 lb-ft of torque. 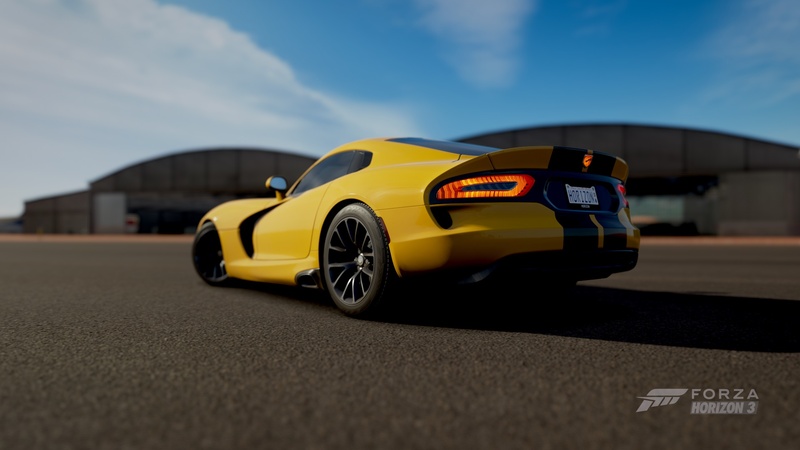 It’s utterly contemporary in its design, and the 2013 Viper’s gorgeous lines are at once sophisticated and hostile—form and function meeting in a sweet spot of automotive aggression. In short, the 2013 Viper’s stunning design will turn heads and its powerful performance will make sure those heads turn very, very quickly. Welcome to Australia! 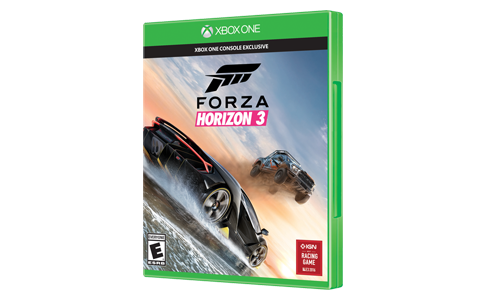 In Forza Horizon 3, you'll explore the Land Down Under, along with more than 350 of the world's greatest cars and trucks. Read on to learn more about the game!